Sorry! This is what you missed in 2018, we’ve so much more to come in 2019! 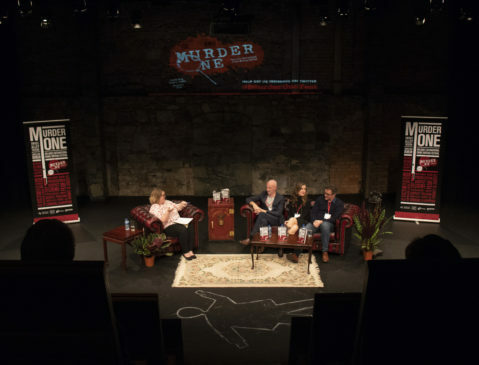 All events listed below lasted approximately 60 minutes and occured in the Main Theatre Space in Smock Alley. Books were on sale in The Banquet Hall where our our stellar authors were very happy to sign them. Now a massively-popular sub-genre of crime writing, Domestic Noir takes as its premise the belief that the domestic sphere can be a dark and dangerous environment for women. Two fresh and highly-successful new voices discuss how their work fits into the genre with Declan Burke. Ali Land’s debut novel Good Me Bad Me became a Sunday Times and international bestseller. It was short-listed for Dead Good Reader Awards and for the Crime Writers Association New Blood Dagger. It also became a Richard and Judy book club pick. Ali is currently working on her second novel. In a mere four years, Liz Nugent has become one of Ireland’s most popular and successful novelists. With her three intriguing and deeply sinister novels, Unravelling Oliver, Lying in Wait, and most recently Skin Deep, she has built an enormous following both at home and abroad. From the number one bestselling author, Peter James, comes an explosive standalone thriller that will grip you and won’t let go until the very last page. Investigative reporter Ross Hunter nearly didn’t answer the phone call that would change his life – and possibly the world – for ever. Britain’s number one crime writer shares some of his secrets with Breda Brown. 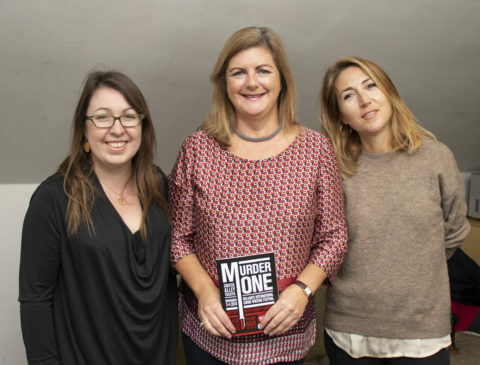 Bestseller Sam Blake brings you some of the strongest new voices in crime fiction and finds out just how they did it. Paul McNeive’s debut The Manhatten Project is set in New York, with its insatiable hunger for fast food, easy fixes and life lived at breakneck speed. But the city that never sleeps is hurtling towards disaster. John Wyse, an ordinary New York cop, looks set to be the only person who can thwart catastrophe on an apocalyptic scale. Bioterrorism is a very real threat today, and this breakneck bestseller will take you to the edge of your seat. In Too Close to Breathe, Olivia Kiernan introduces DCS Frankie Sheehan, a trained profiler. When Dr Eleanor Costello is found hanging in her immaculate home, something about the scene doesn’t add up and Sheehan immediately spots foul play, but what at first looks like an open and shut case of suicide quickly starts to fall apart. In The House on Half Moon Street Alex Reeve brings us the first in a truly original series, set in Victorian London and rich with atmosphere. Introducing Leo Stanhope, a Victorian transgender coroner’s assistant who must uncover a killer without risking his own future, this is a gripping, clever debut. Clare Mackintosh spent twelve years in the police force, including time on the CID, and as a public order commander. Her debut novel, I Let You Go, was the fastest-selling title by a new crime writer in 2015 and became a New York Times bestseller, with translation rights sold to more than 30 countries. 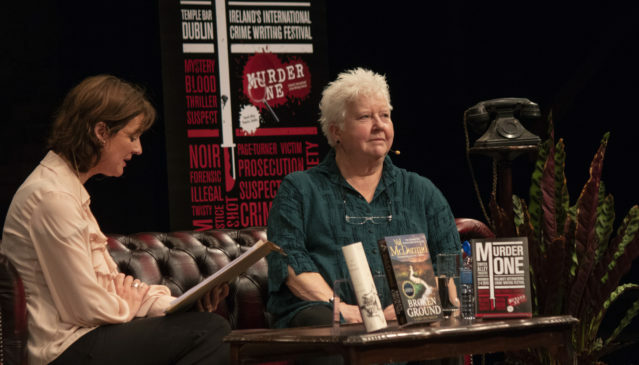 Val McDermid needs little introduction to crime fans. 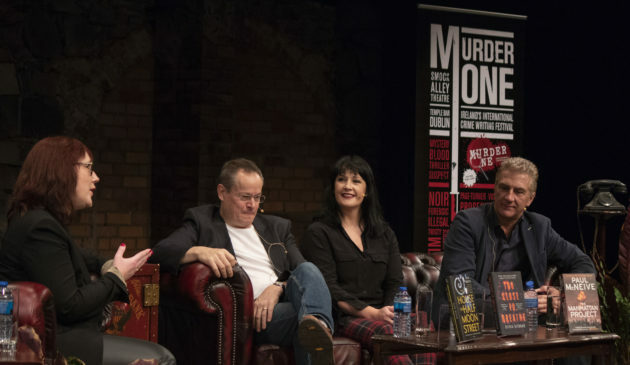 In a writing career that spans more than three decades and roughly forty books she has become one of the key figures in British crime writing and her novels have won countless literary awards. In 2010 she won the Crime Writers’ Association Cartier Diamond Dagger Award for outstanding achievement. Val McDermid has also written the seminal text for crime writers who want to get their procedure right. She talks all things forensic with Niamh O’Connor. A disastrously ill-judged crush on the gentleman next door, an inheritance letter mistakenly sent to the wrong beneficiary; these are the ingenious premises of Lisa Jewell’s and Ruth Ware’s latest novels. How does a thriller writer know when the right premise demands to be developed into a novel? Two highly inventive authors discuss the well-springs of inspiration. Since her first book, Ralph’s Party (1998) Lisa Jewell has published another fourteen books which have demonstrated a remarkable versatility and development in subject and style. Recently, she has made the transition into the realm of domestic thrillers with consummate mastery and brilliance. A former bookseller, TEFL teacher and press officer, Ruth Ware is the author of four splendid psychological thrillers which have appeared on bestseller lists around the world. The Woman in Cabin 10 was a number one New York Times bestseller. Her latest novel is the Death of Mrs Westaway. Madeleine Keane is the Literary Editor of the Sunday Independent. 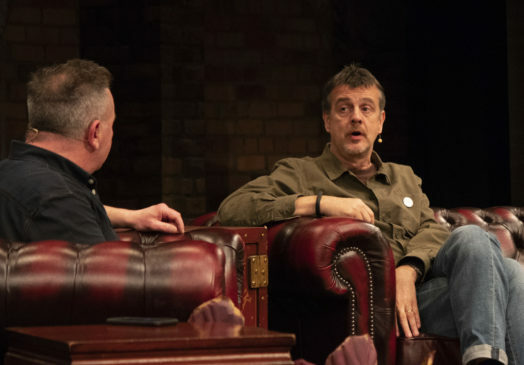 Having worked for some years as an actor, a TV writer, and stand-up comedian, Mark Billingham published his first crime novel in 2001. Since then, his series of crime novels featuring London-based detective Tom Thorne has earned him his rightful place at the top table of UK crime fiction. 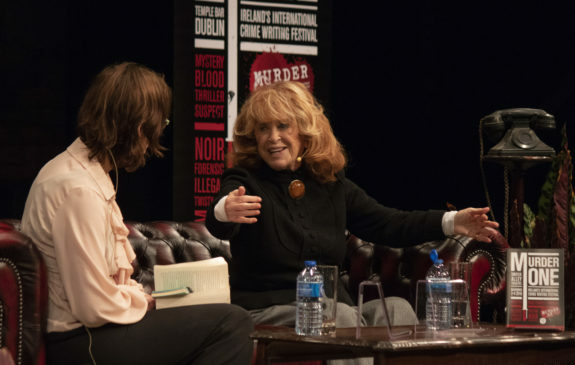 International bestselling & award winning author, Lynda La Plante, whose TV dramas from Prime Suspect to Trial & Retribution have kept viewers on the edge of their seats, discusses her criminal passions and her latest novel, Murder Mile, with Niamh O’Connor. As Widows, the movie inspired by Lynda’s hit TV series is released, does print still pull her back and how does she keep those ideas coming? In her latest book, Murder Mile, Prime Suspect meets Ashes to Ashes as we see Jane Tennison starting out on her police career . The fourth in the bestselling Jane Tennison series, Murder Mile is set at the height of the ‘Winter of Discontent’ in February 1979. Can Jane Tennison uncover a serial killer? Economic chaos has led to widespread strikes across Britain. Jane Tennison, now a Detective Sergeant, has been posted to Peckham Criminal Investigation Department, one of London’s toughest areas. As the rubbish on the streets begins to pile up, so does the murder count: two bodies in as many days. There are no suspects and the manner of death is different in each case. The only link between the two victims is the location of the bodies, found within a short distance of each other near Rye Lane in Peckham. Three days later another murder occurs in the same area. Press headlines scream that a serial killer is loose on ‘Murder Mile’ and that police incompetence is hampering the investigation. Jane is under immense pressure to catch the killer before they strike again. Working long hours with little sleep, what she uncovers leaves her doubting her own mind. How much does real life influence fiction? Is the truth sometimes stranger? 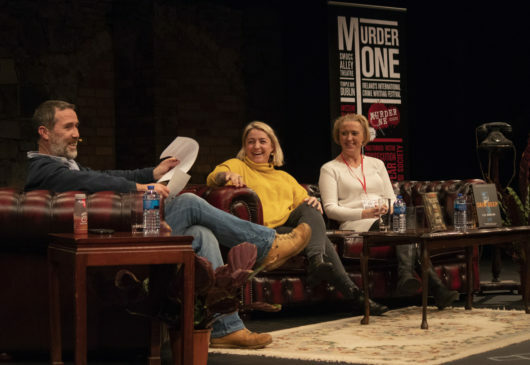 Four crime writers with close ties to the law and law makers, discuss how real life has influenced their writing and how much they just plain make up. Shane Dunphy is the million-selling author of ten books. His series of non-fiction titles, relating to the years he spent as a child protection worker, have been internationally successful. Writing as S.A. Dunphy, Shane has recently turned to crime, his novels featuring the emotionally damaged criminologist David Dunnigan. When She Was Gone was released earlier this year. After studying law in Trinity, Andrea Carter moved to the Inishowen peninsula in Donegal where she ran the most northerly solicitors’ practice in the country. 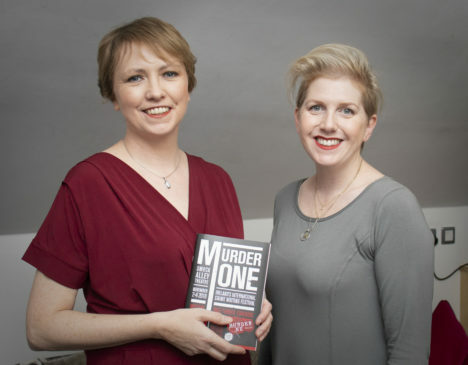 After ten years, she moved to Dublin to work as a barrister before turning to writing crime. Her Inishowen Mysteries series, featuring Solicitor Benedicta ‘Ben’ O’Keeffe, Death at Whitewater Church, Treacherous Strand and The Well of Ice are published internationally and have recently been optioned for television. Murder at Greysbridge came out in October. Cormac O’Keefe’s debut novel Black Water draws on his experience as the award-winning security correspondent for the Irish Examiner – work that has given him unique access to contacts in the police and the community. Using his first hand experience of crime and criminals to inform and fuel his debut novel, Black Water focuses on The Grand Canal and Dublin’s criminal gangs. Jane Casey worked in publishing before she debuted with her International award winning Maeve Kerrigan series. Married to a barrister, Jane has unique access to the world Maeve Kerrigan occupies, but how much can writers draw on the truth and how much do they make up? In Jane Casey’s seventh novel to feature London-based police detective Maeve Kerrigan, Let the Dead Speak, an unusually naïve 18-year-old, returns home from a weekend away to discover a bloodbath in the family home, all the signs point to the frenzied murder of Chloe’s mother, Kate — except there is no body. Simon Trewin has spent the last twenty-five years as a literary agent working with some of the biggest names in the world and helping launch the careers of countless debuts. 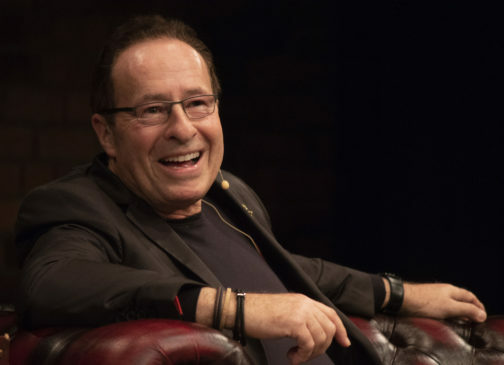 In this candid, and, at times, irreverent event he will lock the doors, swear you all to secrecy and reveal his top ten essential tips to getting published and also tell some stories of people who got it terribly terribly wrong…and right. Simon is a Partner in the global entertainment agency WME. He has been a three time nominee for the Bookseller Industry Awards Literary Agent of the Year. Trewin began his career in the theatre and moved to the world of literary agenting. He has worked with a string of internationally bestselling authors who have, between them, either been nominated or have won the Man Booker, the Baileys, the Costa, the CWA Daggers, the Irish Book Awards and the IMPAC. Simon represents a number of crime and thriller writers including Robert Goddard, Alex Barclay, Luke Delaney, A A Dhand, Jake Woodhouse and Sam Blake. 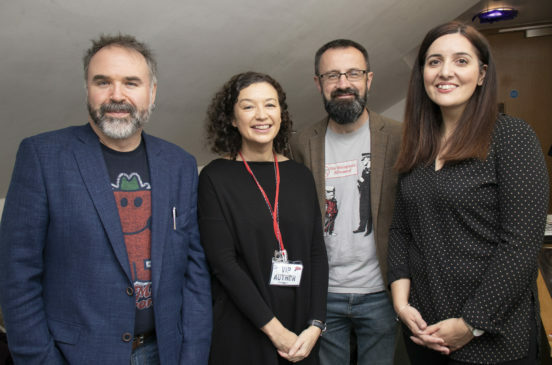 Simon Trewin is always on the look out for new talent in this area and he also has a particular affinity for the Irish market – representing, as he does, John Boyne, Mary Costello, Alex Barclay, Paul Lynch, Claire Kilroy, John Connell, Sarah Griffin and Sam Blake. Are female writers deadlier than the male? What do they think of violence in crime fiction and how do they handle it in their books? Do crime novel have to be bloody? 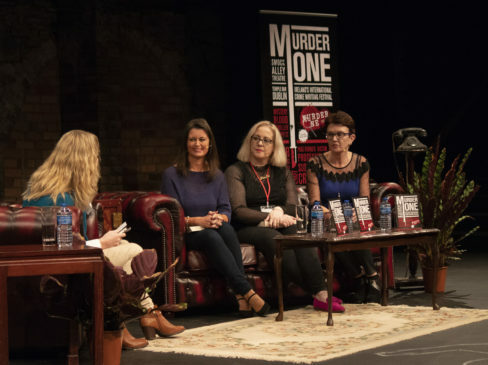 Our panel of bestselling ladies will discuss with crime author Tanya Farrelly whose novel When Your Eyes Close was launched at the start of our festival. Patricia Gibney is the million selling author of the Lottie Parker series. With five titles released in digital, The Missing Ones, the first of the series now is out in print. Lottie Parker is a woman living on the edge, struggling with grief following the death of her husband and juggling her full-time Detective Inspector job while trying to do her best for her three teenage children. Jo Spain’s The Confession opens with a violent and bloody scene – late one night a man walks into the luxurious home of disgraced banker Harry McNamara and his wife Julie and launches an unspeakably brutal attack on Harry. It looks like Harry’s many sins have finally caught up with him. But sometimes a confession is only the beginning. Claire Allan is a former journalist with the Derry Journal who made the jump to writing full time in 2016 with a series of bestselling women’s fiction novels. Claire has now switched to a life of crime, with Her Name is Rose hitting the bestseller lists earlier this year. How does an author decide to write a series or a book that stands alone, is it the plot or the characters who guide them? And what do readers think? What makes a series character and why are the most talked about books often stand alones? Catherine Ryan Howard will cross examine our expert panel. Karen Perry’s sixth standalone thriller Your Closest Friend opens with a bang – with a terrorist attack in London, developing into a complex psychological thriller. WC Ryan’s latest novel is another departure from his Korolev series, taking us back to wartime, but in A House of Ghosts, it’s winter 1917 and on an island off the Devon coast, Lord Highmount has arranged a spiritualist gathering to contact his two sons who were lost in the conflict. But it gradually becomes clear that each of his guests has something to hide. Anthony J Quinn brought us Celcius Daly, a Belfast Police Inspector laden with flawed judgment and misplaced loyalties, but in his latest book The Listeners, Detective Carla Herron is leading the investigation into the savage murder of a respected psychotherapist whose decapitated head has been found in a forest clearing. The Liar’s Girl is Catherine Ryan Howard’s second novel, following the award winning bestseller Distress Signals. In The Liar’s Girl, Dublin’s notorious Canal Killer, Will Hurley, is ten years into his life sentence when the body of a young woman is fished out of the Grand Canal. The novels of Robert Goddard have ranged freely across the generic landscape. 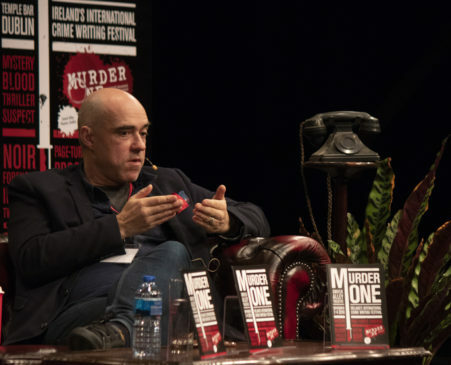 Mick Herron has said “my earlier novels were crime fiction but I wanted to write about broader issues, and the spy genre offers that opportunity.” So how important is the concept of genre? Is it a burden for authors to bear, a useful taxonomic principal, or an irrelevance in the new century. The authors discuss the issue with Irish Times Literary editor Martin Doyle. Mick Herron has been called “the UK’s new spy novel master” and the natural heir to Len Deighton and John Le Carre. Combining wit and ingenious plotting, his Slough House series, featuring the incorrigible Jackson Lamb, have earned him numerous CWA Daggers and a passionately loyal readership. Robert Goddard’s writing has been classified under various genres from thriller to mystery and crime as well as historical romance but regardless of category, Goddard is a consummate stylist and a champion of the traditional virtues of pace, narrative propulsion and plot. Panic Room is his 27th novel. 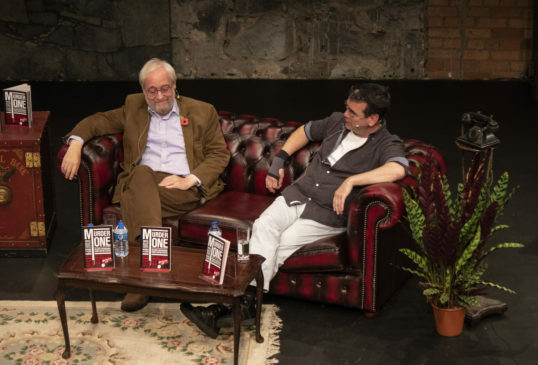 Literary Editor of the Irish Times, Martin Doyle digs into the truth about crime fiction with two of its most successful proponents.